Have you ever struggled eating your food and trying to look at your smartphone at the same time? Haven’t we all (wait, have we?). Well, someone has decided that enough is enough and invented a phone case that allows you to do your favourite two things. 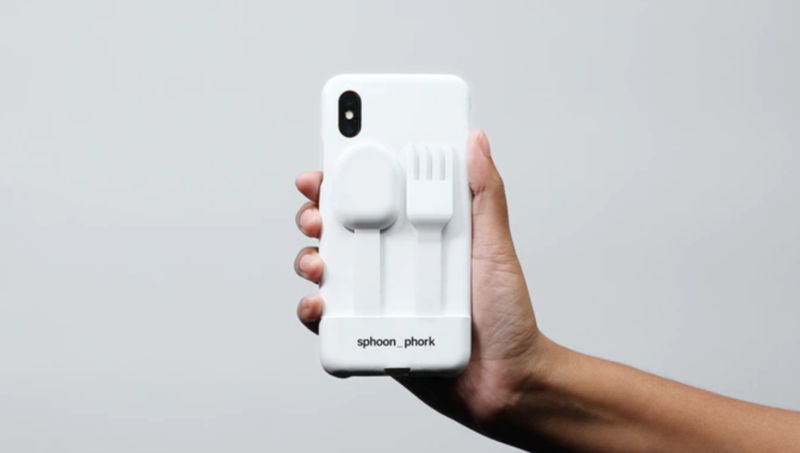 Introducing the sphoon_phork, a case that comes with a reusable spoon and fork that attaches to the bottom of your phone, allowing you to fish out some food and then immediately going back to scrolling on your feed. 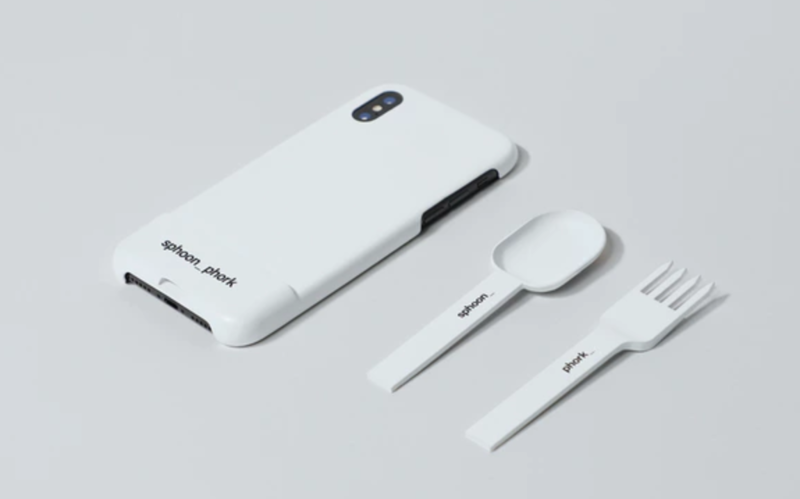 The name of the invention is an amalgamation of smartphone and spoon/fork, which is pretty ingenious. Its big draw card is that it’s environmentally friendly because it’ll encourage people to ditch single use plastic cutlery. But when it says it will make it easier to eat and scroll, it eliminates maybe a second or two of having to put down your fork or spoon. It’s listed on Kickstarter, where it’s received $249AUD (£139) so far, and needs another $15,150 (£8,441) to reach their goal. On the crowd funding ad, the creators say: “For over 12,000 years, humankind has strived to create the perfect civilization. We invented agriculture. We invented the wheel. We created a system of laws. We sent people to space. Now, a new chapter in our history has begun. “It took us almost a year to achieve to perfect design for a seamless experience of simultaneously eating while browsing. The company hopes to have cases ready for more iPhones, Samsung Galaxy S9, Galaxy S9 plus and Galaxy Note 9, Huawei Mate 20, Mate 20 Pro and P20 Pro, Google Pixel 3 and Pixel 3 XL and Sony Xperia XZ3. It seems to be one of those products that isn’t servicing a realistic need but rather creating one. But hey, who knows, maybe everyone is going to be using these in the next few years to have better eating/scrolling efficiency as well as championing that environmental cause. Prove me wrong world. Only time will tell before we see if these bad boys are a hit with consumers.